DO TEENAGERS NEED TO SET GOALS? Yes they do; and here's why. It Encourages Thinking - The process of setting goals demands that teenagers think beyond the 'now'. It's a fast paced world with a million distractions per minute (games, TV, computers, apps, you name it). Actually sitting down to think about goals and envisioning the future, forces them to stop and engage their minds on what could be. Please note that the goals need to be written. Action - By now we know that goals need to be SMART. Do keep the list short to start with, and don't stop there. For each goal, ensure that there are at least 3 actions that need to be carried out to see that goal realized. Setting the goals and identifying the actions required to see them accomplished, sets teenagers up to take action. They learn early in life that a goal is not a wish list. It's more of an action list. Accomplishment - Goals set, check! Actions to accomplish them, check! Review process? Yes, measuring the results periodically and feeling that sense of accomplishment is extremely motivational. Even if they don't hit moon, they'll be in the good company of the stars. On the other hand, the review process could reveal that they're way off course, in which case the goals and actions may need to be reviewed. Start Now - What are you waiting for? Start setting goals today. The goals could be around your studies, developing new skills, making friends or even starting a business, most importantly, it should be about your life's purpose. 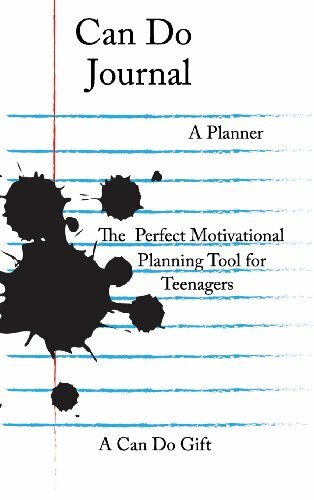 All you need a fresh notebook or preferably a motivational, purpose designed, goal setting journal such as our Can Do Journal - The Perfect Motivational Planning Tool for Teens and Young adults. 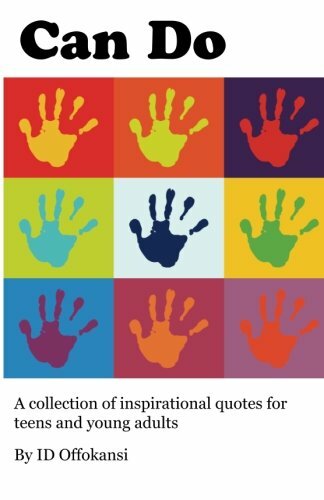 Loaded with inspirational quotes, including quotes from Can Do- A Collection of Inspirational Quotes for Teens and Young Adults. Posted on February 10, 2015 by id Offokansi and filed under Motivational Quotes, Purpose and tagged motivating teenager.